Are you looking to create or edit PDF documents, but don’t want to drop major coin on a flagship piece of enterprise software? Well, look no further than today’s discount software promotion, Vole PDF Creator Business Ultimate Edition! 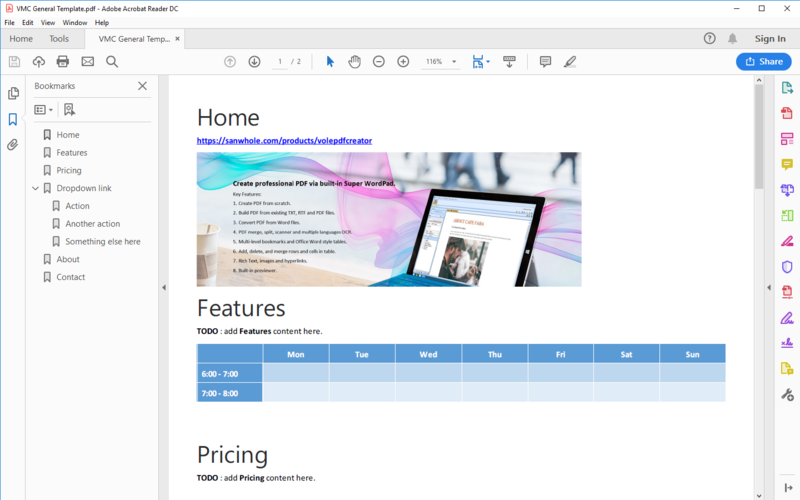 Vole PDF Creator Business Ultimate Edition lets you build professional PDF files from the ground up, using an integrated editor or your word processing application. With Vole PDF Creator Business Ultimate Edition, you’ll be able to create multi-level documents with bookmarks that feature rich text, images, hyperlinks, and Microsoft-style tables. Best of all, you’ll be able to preview your results right within Vole PDF Creator Business Ultimate Edition before you export. Vole PDF Creator lets you create professional PDF just like editing Microsoft Word files. 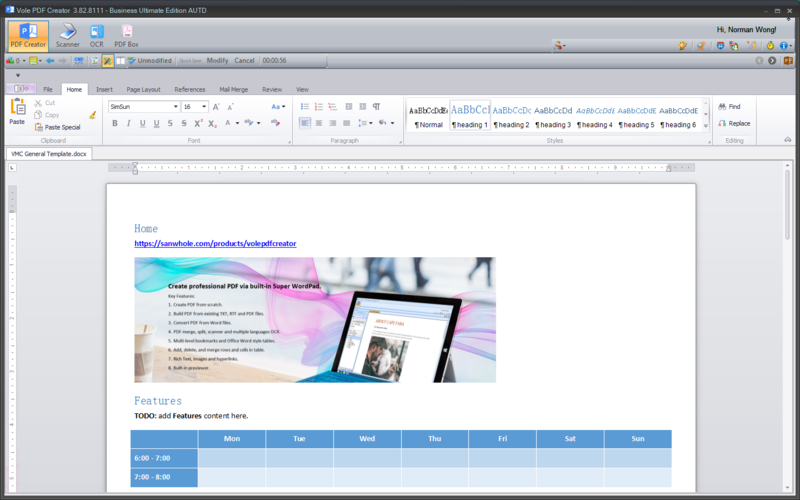 The built-in Word editor repeats Microsoft Office user experience. You can even use a scanner and OCR features to import hardcopy documents in multiple languages into Vole PDF Creator Business Ultimate Edition! Vole PDF Creator Supports PageShare Cloud sharing which lets you upload and share files and websites at Sanwhole PageShare Cloud up to 150 MB for free. Learn more by clicking here. After you purchase Vole PDF Creator Business Ultimate Edition it may be used indefinitely. Vole PDF Creator Business Ultimate Edition is licensed per user, so if more people are going to use Vole PDF Creator Business Ultimate Edition you will need to purchase additional copies. 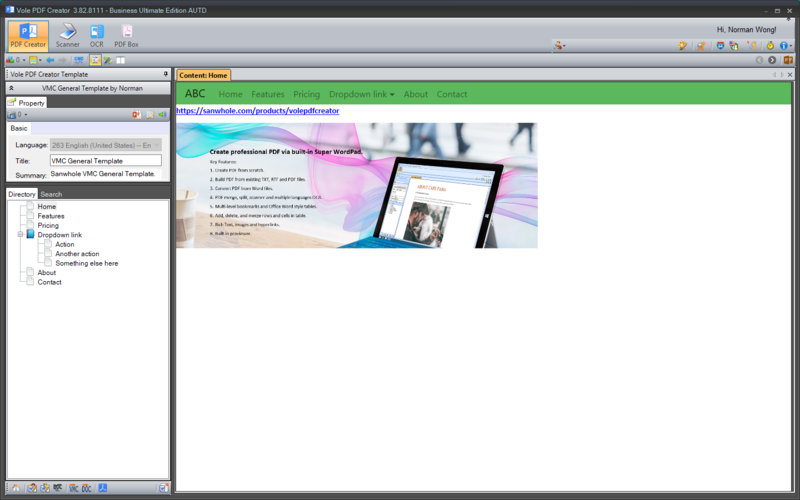 Each license allows installation on all owned computers, and Vole PDF Creator Business Ultimate Edition may be used at exactly the same time on each of them.